While there is a great number of online resources about Facebook Ads available, most lectures only focus on specific approaches one should follow to repeat the success instead of offering a more broad and general idea of individual’s optimization experiences. In fact, the headlines of those Facebook Ads tutorials, such as “How I turn $5 into $10K in revenue with Facebook Ads”, are very likely to misguide learners. Beginner, in particular, may lose their ways in tons of tutorials designed for the advanced and believe all of the amazing figures they see from videos can be replicated overnight. The amazing outcome of each successful ad campaign, however, is the result of countless trials and errors, which is what people usually don’t emphasize. Therefore, I believe there exists a need to share my personal experience with beginners if they’d like to transform into an advanced Facebook Ads manager. First and foremost, patience is one of the factors determining whether a Facebook Ads campaign would take off or not. However, losing patience to wait for the learning process in display system completed is the most common mistake. People often unrealistically expect to see a substantial return soon after an ad campaign is launched. 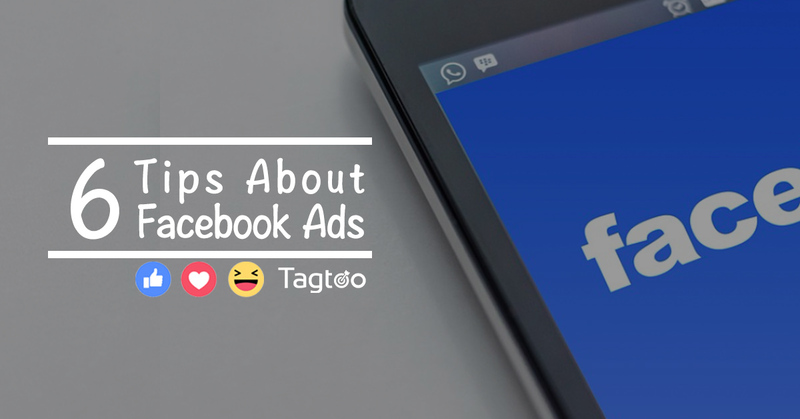 In most cases, beginners tend to change the ads setting dogmatically by the time Facebook Ads gather enough viewer’s data and subsequently report the ads performance that is statistically significant. The more frequently the setting is changed, the longer it would take for the system to optimize and ultimately the more likely an incorrect strategy may be made. In other words, a group of the right audience might, therefore, be classified as a wrong target audience. Usually, the system requires 5-7 days to go through the optimization cycle, but you can decrease to 3-5 days if you are not limited to the budget. Another well-known issue related, on the other hand, is spending little time on discovering another best ad sets. While it’s an annoying process to keep looking for a different potential target audience, the outcome is oftentimes surprisingly fantastic if beginners stay proactive to test out any other possibility. For example, even if you have known who’s likely to make purchases, in the case of e-commerce, they may soon lose interests due to ad fatigue, which occasionally happens. At this moment, the impact wouldn’t strike your business so fiercely if you’ve found another group of audience. While being patient with the optimization cycle is paramount, under no circumstance does it mean beginners could stay inefficient for any other tasks in the middle. Actually, what beginners would face in managing ads is a series of processes containing audience exclusion, tracking parameter setting, and so on, which might greatly complicate the optimization process if they are not familiar with those user interfaces or the correct way to carry out split tests. On top of that, data interpretation might significantly lower working efficiency as well, especially if you have to compare Facebook Ads data with different tracking tools, such as Google Analytics, to deduce the real performance of Facebook Ads, which often overreport. Now that most of the time will be spent on those tedious things, there is no doubt that it would be smarter and helpful to accelerate this process. It’s easy said than done. However, intentional practice will make an improvement. In my previous experience, the more time you can save from the above two, the more time you’re able to have better decision-making quality and consequently produce more desirable results. Despite the fact that digital ads, including Facebook Ads, empower advertisers to target more precisely, there’s no guarantee that these systems would function well every time. The other issue worth noting is regular changes of banners and copies. This part, forgotten or neglected unintentionally by the beginners sometimes, is essential to sustain the outstanding performance of existing ads campaigns. Generally speaking, a week or two is a suitable period. With that said, it is too late to let a graphics designer or a copy writer design and draft a new one because the ideation takes time and can’t respond to the ad fatigue in real time. Obviously, by the time the ads are updated, you might miss some business already. Consequently, an independent ads managers should be well equipped with the ability to design a simple but eye-catching banner and come up with interesting copy swiftly. More importantly, it is necessary to stay agile and alert to the reporting figures and troubleshoot or update in the shortest time. When I, still a beginner then, first navigated to Facebook Ads, there were many different metrics and statistics popping out to my eyes immediately. Honest speaking, I was confused and didn’t know where to start or which metrics should I pay attention to. it took longer than I expected to eventually figure out the figures and metrics that matter about optimization process. Actually, staying focused on the end goal, say low CPA, and its related metrics is basically good enough to go. Common metrics that I look into on Facebook reporting include click-through rate (CTR), cost per click (CPC), relevance score, and cost per acquisition (CPA). I would also include other metrics, such as cost per add to cart, into consideration if there is a need to decide whether the ad campaign should be off or not. Along with reports from Google Analytics, which helps track and measure ads performance, you’ve already held a great amount of data of traffic quality and had enough user information to optimize the ad campaign in the following rounds. Nevertheless, reports from either Google Analytics or Facebook Ads alone doesn’t reveal the real performance since the former are found to underreport whilst the latter overreport usually. Simply put, the statistics would not be significant until combining both together. Ultimately, let’s say you would like to calculate the real link CPC of a banner ad, you should first take Google Analytics’s session figure generated from that banner ad, and then divided the figure by how much that ad cost on Facebook Ads. Only by doing so can beginners optimize in the right and meaningful way. This is also what we call performance-based optimization approach, which let you not only greatly simplify the ads managing process but also concentrate on the end result. When I, still a beginner then, became comfortable with the entire optimization process, lacking statistics to gauge my optimizing adjustments made me lose sight of the shore and didn’t know how far I could and should go. In fact, it is quite helpful if you can actively acquire them through either the internet or the sharing from other advanced ad managers. The earlier you have the entire picture of the industry average of some metrics, the better the quality of your tactics, such as budget allocation and placement selection would be. More importantly, the budget would not be aimlessly overspend on constant experimenting since you have known if the ad campaign performance surpasses benchmarks or still lags behind. Of course, you would have more distinct understanding about industry benchmarks as you accumulate more practical experience in managing ads campaign, but it’s never too early to start off. In addition to the aforementioned, understanding how the Facebook Ads bidding system and attribution model works is of great help at the start. For example, the higher bid on Facebook Ads doesn’t necessarily eat up more of your budget since your bid only determines whether winning the placement auction or not. This way, you are able to better allocate resource to the right ad set. In general, the more background knowledge and some rule of thumb you discover, the more and faster you figure out where and what the right way of optimization is. Perseverance, finally, is the core to determine how close you are to the success of an ad campaign but is also what most beginners neglect. While it may be true that 80% of the effects come from 20% of the causes, what most people forget is that 20% of the causes usually take you 80% of the time to discover. Consistent with the introduction, a great ad campaign oftentimes is the outcome of hundreds or even thousands times tests. More precisely, there is not a shortcut to the summit. The secret of enjoying the taste of success, nevertheless, is extremely simple: constantly iterate the optimization process as much as you could until bumping into the right and best one. Last but not least, despite the fact that all the points listed above may not provide a clear guidance to become a Facebook Ads master, they do help with building a right mindset to smoothly walk you through every optimization process you are within, which is insipid. For now, I still bump into the wall most of the time at the beginning whenever handling a new client. But, I don’t panic because I’ve realized that’s the only way which must be passed. Since the quick rise of Facebook in 2004, Facebook Ads has been proven to be the best alternative channel to AdWord. The power of social community not only earns tons of money for the social media giant but also creates more opportunities for advertisers and opens a new era for digital ads. Facebook Ads is indispensable to every walk of life nowadays. The more you discover how their algorithm behind works and observe the nuance of each optimizing adjustment, the better you can take Facebook Ads campaigns to a higher level and bring explosive growth for your company or clients.